The best keeps getting better! You can't beat a Buddy for its seamless blend of modern technology, practicality, and vintage style. 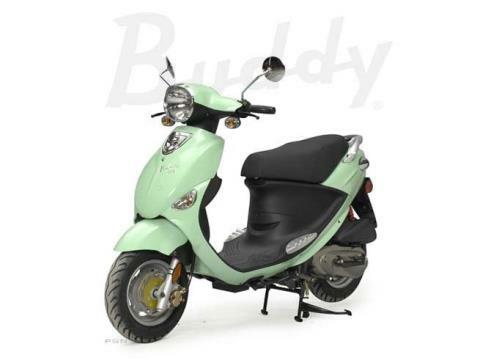 This year, the Buddy 125 and Buddy 50 boast fresh "pop" colors and improved performance. Those looking for a bit of continental flair have four International models to choose from! Throw in an ever-growing list of available accessories and you can customize any Buddy scooter just for you. There really is a Buddy for everybody!